"Dear Evan Hansen," the Tony Award-winning teen musical, was supposed to open Wednesday night at the Paramount Theatre for its week-and-a-half run. But it was canceled. Here's how you can attend another performance or get a refund. Broadway at The Paramount said in a Facebook post Thursday that “the truck carrying Dear Evan Hansen set pieces arrived in Seattle last night around 8:45pm” and that the run of the show will continue as scheduled, including the Feb. 1 added show. 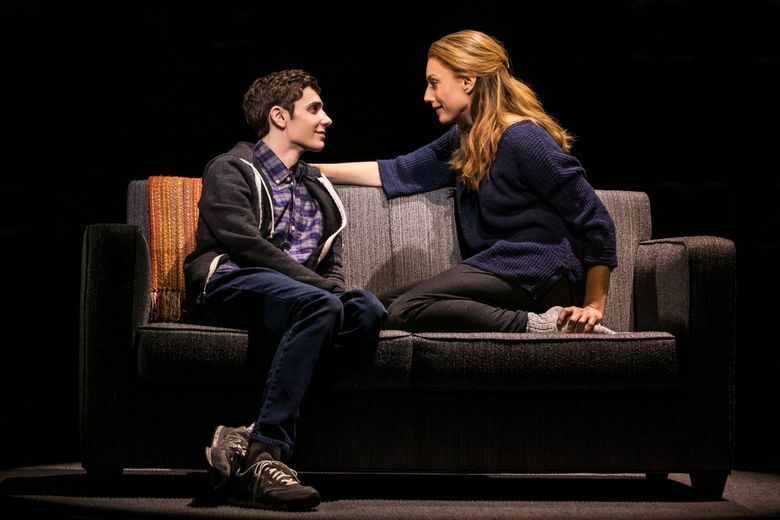 “Dear Evan Hansen,” the Tony Award-winning teen musical, was supposed to open Wednesday night at the Paramount Theatre for its week-and-a-half run. But that performance was canceled. “Due to inclement weather along the tour route of Dear Evan Hansen, the trucks carrying the show’s vital set were delayed to a degree that does not allow for the show to go on as scheduled this evening, January 23rd,” Broadway at The Paramount, the organization bringing the tour of the Broadway hit to Seattle, posted on its Facebook page. “Dear Evan Hansen,” which centers on a teen with social anxiety disorder whose lie about being friends with a deceased fellow student goes viral in this social media age, won six 2017 Tony Awards, including Best Musical. The Paramount stop, which runs through Feb. 2, is part of the show’s first national tour. Currently, tickets appear to be selling at prices ranging from $55 up into the hundreds of dollars, though there’s also a digital lottery for a limited number of $25 tickets.